What’s going on in this photograph? Baboons on the shore of Lake Tanganyika, Tanzania, by Ami Vitale for The Nature Conservancy. This entry was posted in Animals on July 18, 2014 by Bix. 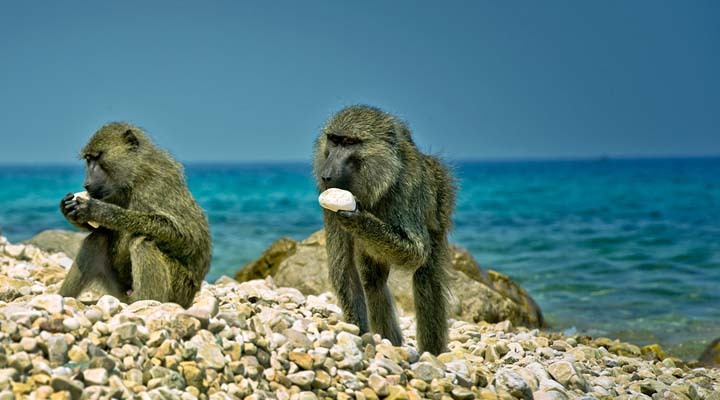 Baboons lick a lot of rocks for a tiny taste of salt deposited by lapping waves along Lake Tanganyika’s shore. This was on the The Nature Conservancy website at the bottom of the picture above.